Just like every busy working mom out there, sometimes its hard for me to squeeze in a workout of my own choice. 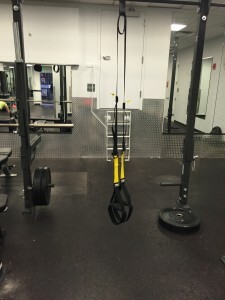 When I do, I try to take advantage of some of my favorite workout equipment. 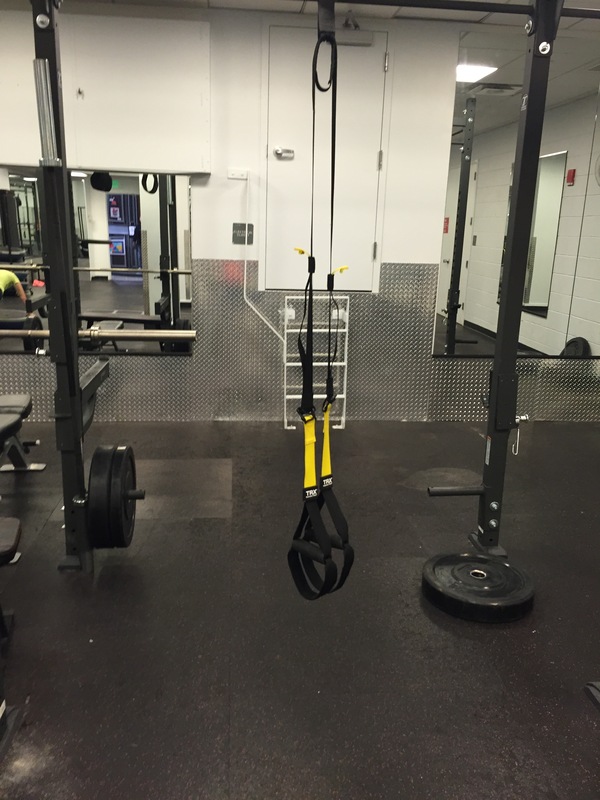 On Tuesday I did a fun, challenging & sweaty bodyweight workout using the battle ropes, TRX and Bosu ball at the YMCA. I started my workout with a 5 minute warm-up. I alternated between Box Step-Ups, Quick feet on the Bosu, and some side shuffle drills. In between each round I did 30 seconds of Side Shuffle on the BOSU ball for an added cardio blast! This workout probably took me about 25 minutes. It was short but challenging and I’ve learned that I don’t need to spend hours working out. Sometimes my best workouts are the ones that are under 30 minutes! I promise this one will leave your arms feeling like Jell-o and your heart pumping. 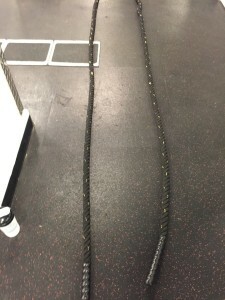 I love adding the battle ropes into my training, its not only great cardio, but its a great stress reliever!! !